It was 90 on Monday. I have no idea why. It will be 120 in June, at this rate. Last night, it was even stranger. 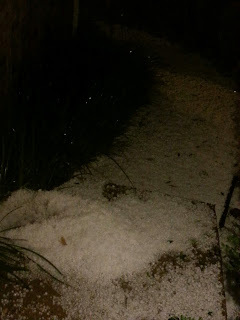 At 3 a.m., I woke up because I heard thunder. Then I heard what sounded like light rain. Then heavier. Then it became this wall of sound. Eli 11.7 woke up, too. "What the heck is happening?" he asked. I took him downstairs and opened the front door. "Hail," I said. 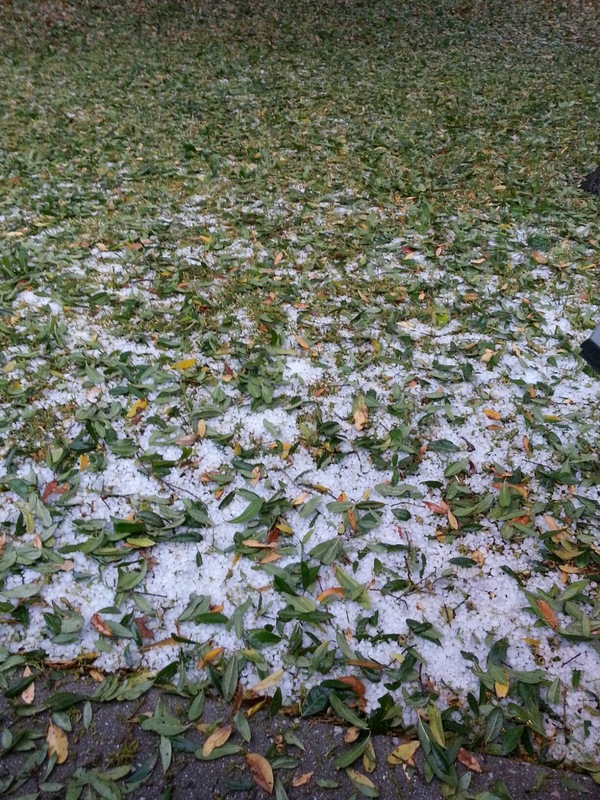 "I've never seen so much hail!" It was incredible. In ten minutes, we were buried in pea-sized hail. I've never been in anything even remotely like it in terms of density. 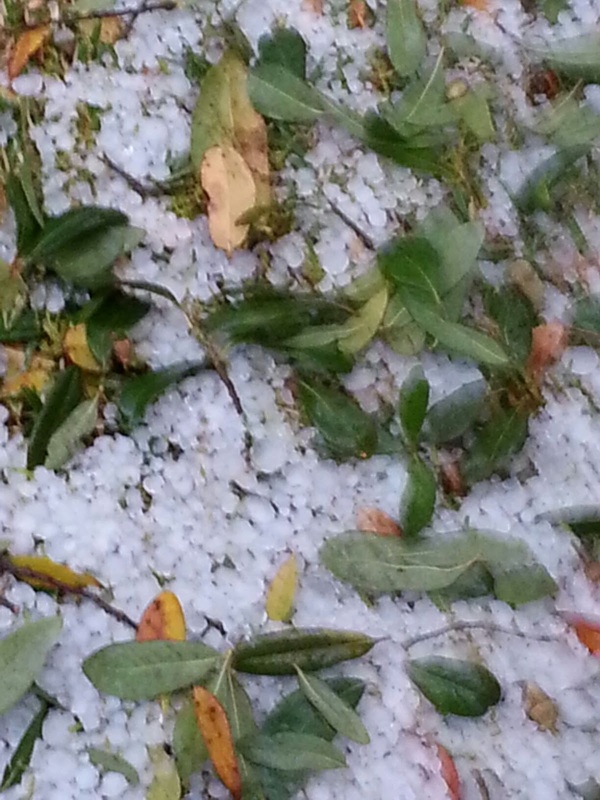 Sorry, that's a little blurry, but you can see the individual pieces of ice. 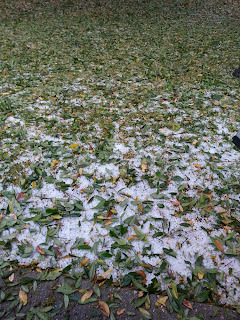 There were also an incredible number of green leaves on the yard, knocked down by the ice. A beautiful riot of color.